I have ordered nearly 90% of my parts through LancerShop.com and the experience has been nothing but great. All parts arrived in a timely mannor and in perfect condition. 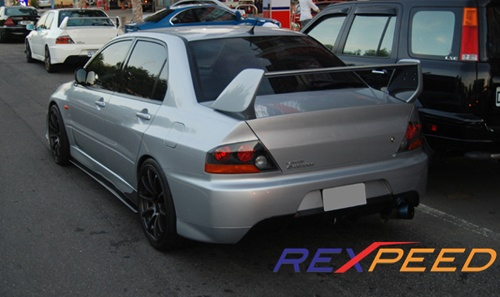 Enhance your evo's look with a pair of these side skirt extensions and stand out from the crowd. Made from high quality carbon fiber with clear coat finish. Sold in pairs of (2) Only available in 2x2 weave. TECH TIP: Each kit comes with 3M adhesives and utilizes the factory mounting screw locations under the car. 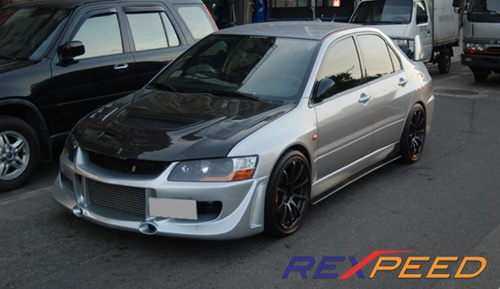 No drilling or modifications needed to install the side skirts. Shipping Note: Due to the large size of this item it ships directly from Rexpeed in Taiwan. Buyer is responsible for all duty and customs fees on this item. No Express shipping is available on this item.